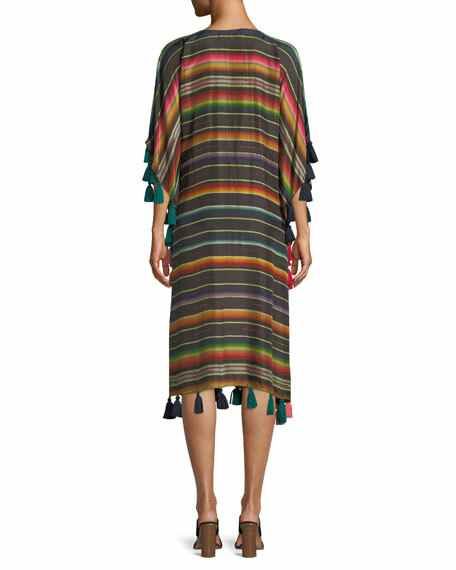 Figue "Amirta" kaftan in striped silk habutai with tassel trim. Approx. 42.5"L down center back. 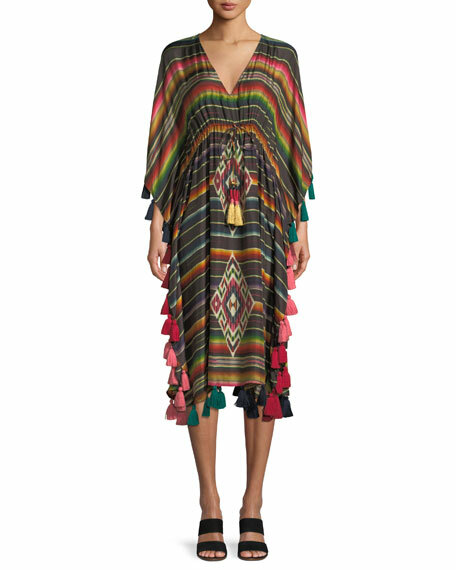 For in-store inquiries, use sku #2553947.